Children take part in a range of activities and the move through the adventure playground apparatus to build confidence and physical literacy. Adults also attend this session to participate with their child to guide them through these fun filled sessions. Cost: All classes cost £2.70 per session if you book a block (e.g 8 week block at £21.60) or £3.50 pay as you go. 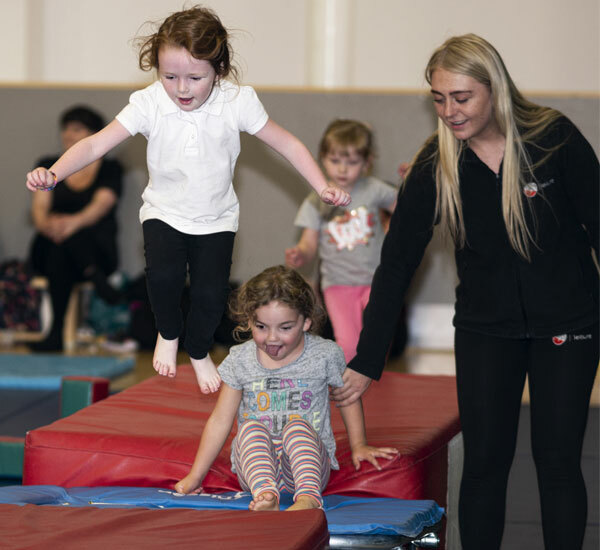 Mini Movers is an energetic pre-school gymnastics class with no parent participation which promotes independence in your child. The class is structured with an aim to improve physical skills such as coordination, balance and most skills. Most importantly of all, they’re packed full of FUN! What better way to improve the balance and co-ordination of your child, in a safe, stimulating and protected environment. Watch your child grow in confidence as they interact with others their own age and explore movements that are fundamental to their ongoing growth and development.